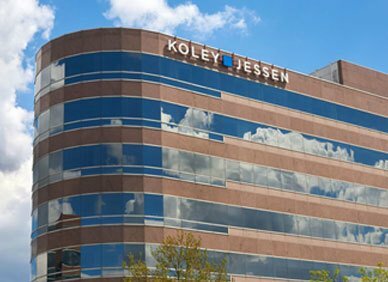 With a growing practice of over 70 attorneys, Koley Jessen is interested in continued expansion of our talent. While we will continue to hire through law school recruiting efforts, the addition of lateral attorneys is equally important. Our lateral hires are based on current practice needs and the background and cultural fit of the attorney. The firm develops an integration plan for lateral attorneys which allows not just for basic on-boarding, but true development of relationships across the firm, transition of clients, and identification of client development opportunities. Our attorneys are provided training opportunities and mentoring. We provide our attorneys with the tools they need to succeed. While we endeavor to provide feedback at the conclusion of every project, we also have a more formal semi-annual performance review process. For more information on joining the Koley Jessen team please contact Nisha Jafari at nisha.jafari@koleyjessen.com or (402) 343-3872. "Our recruiting philosophy is simple: we want to identify and hire the best and brightest attorneys, who will embrace our culture of high energy, innovation and ‘over-the-top’ client service. In order to hire the best, we must be a great place to work with great clients to serve."